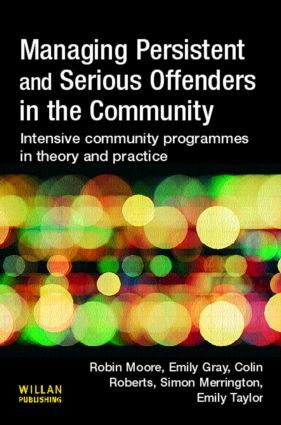 Over the last few years intensive community programmes for both young and adult offenders have become established in the UK as an important new component of penal policy − the ISSP (Intensive Supervision and Surveillance Programme) for persistent and serious young offenders, and the ICCP (Intensive Control and Change Programme) for adult offenders. Expectations of these programmes have been high, but the evidence relating to their effectiveness is mixed, and a number of critical concerns have emerged. This book seeks to address these issues, providing a timely review of the current literature, and presents findings of a recent national evaluation of ISSP. Emerging lessons for future penal policy are presented, and set within a wider theoretical context. The book concludes by stressing the need for greater realism and further evidential support if such programmes are to gain long-term credibility, and also to consider the appropriateness of differing forms of targeting as well as the emphasis placed on the various methods of surveillance.